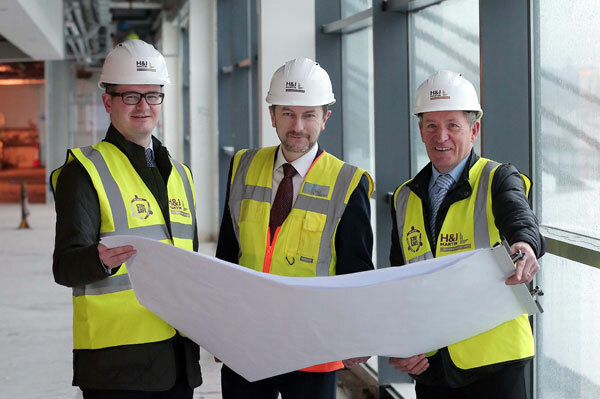 Work is now underway on a £15 million upgrade project that’s designed to improve the passenger experience at George Best Belfast City Airport. This element of the works is being delivered by leading construction company H&J Martin Fit Out, which is now on site at the airport. Work is now progressing on the first phase of the project which involves demolition works and preparation of areas for the new retail fit-out and is on schedule. Upcoming works will include additional food and beverage outlets, new and enlarged toilet facilities in Departures, as well as more seating areas. Announced earlier this year, the entire works will be contained within the current terminal building and will be completed by October 2018.